What Schilling does well is the science explanation. 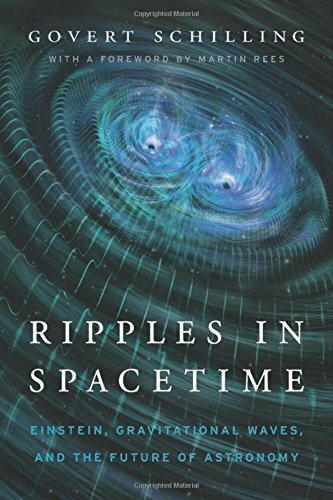 His description of gravitational waves themselves is the best I've seen anywhere, and he gives us plenty of information on the process that led to LIGO (the observatories that have made the discoveries). He's also good on the way the availability of gravitational wave data has the potential to expand the abilities of astronomers. Less satisfactory is the history of science. I know popular science author John Gribbin would be squirming at the repeated use of 'Einstein's theory of general relativity' (it should be general theory of relativity), but this, for me, was a lesser error than some of the historical misinformation. We're told that Aristotle proposed the 'first model of the universe' - but there were plenty around earlier, such as Anaximander's, predating Aristotle by around 150 years. Equally we're told that 'Lipperhey' invented the telescope. Leaving aside his name being Lippershey, we know for certain he didn't as he attempted to patent it and failed because of prior claims (not to mention the Digges's work in the UK etc.) And, bizarrely, Schilling tells us that Einstein got the idea of a fixed speed for light from Michelson-Morley, rather than Maxwell. Luckily there's only a relatively small part of the book that is history of science and, as mentioned, the parts explaining the science are much better. 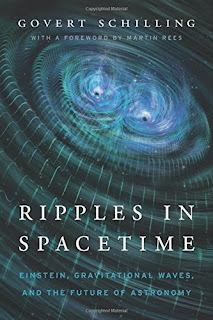 The description of Weber bars, the building of LIGO and the battles involved along the way are told much more engagingly in Black Hole Blues, but if it's just the science parts you want, this is a good one to go for.